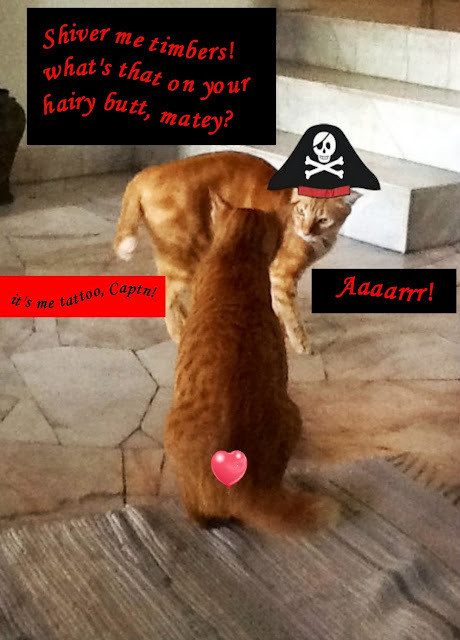 Katz And Other Tales: Katz Tales Meow Like A Pirate! 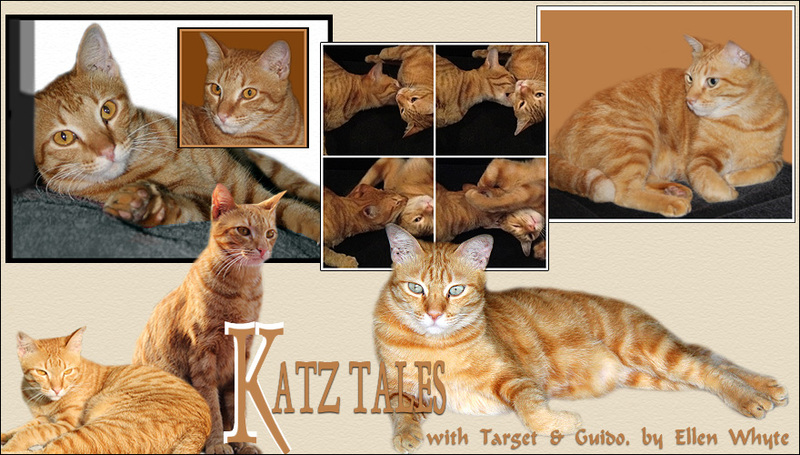 Katz Tales Meow Like A Pirate! Will Deck Swab Guido have to walk the plank? Luckily for Deck Swab Guido, Captn Tar-Gut has a secret. If you're meowing like a pirate, come drop anchor in our lagoon! Plenty of tuna for efurryone! Aaaaaarrrr!!! Arrrrgh! Ye be fine pirates! We be settin' sail and headin' yer way. Have some nip rum ready fer us when we git thar! Ahoy buckos, you aye be good pirates! Arrr, ye be fine pirates. I'll be dropping by to feast on yer tuna. We will even get a heart tattoo for Tuna. 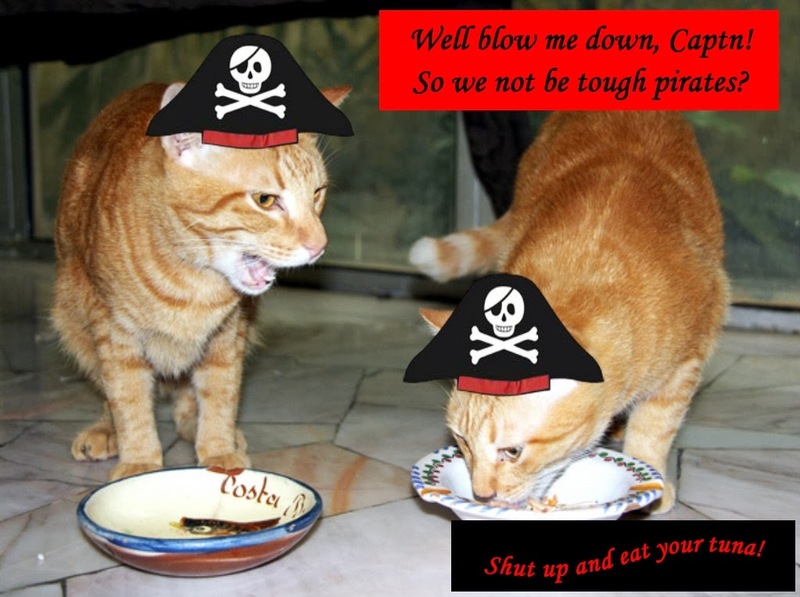 Arr ye be fine and generous pirates t' share ye tuna! swashbucklers you. 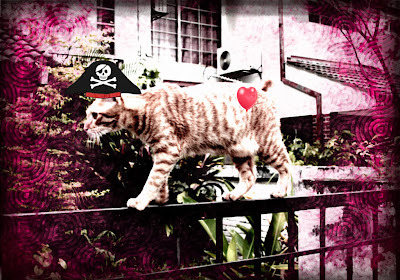 happy meow like a pirate day. Love it! 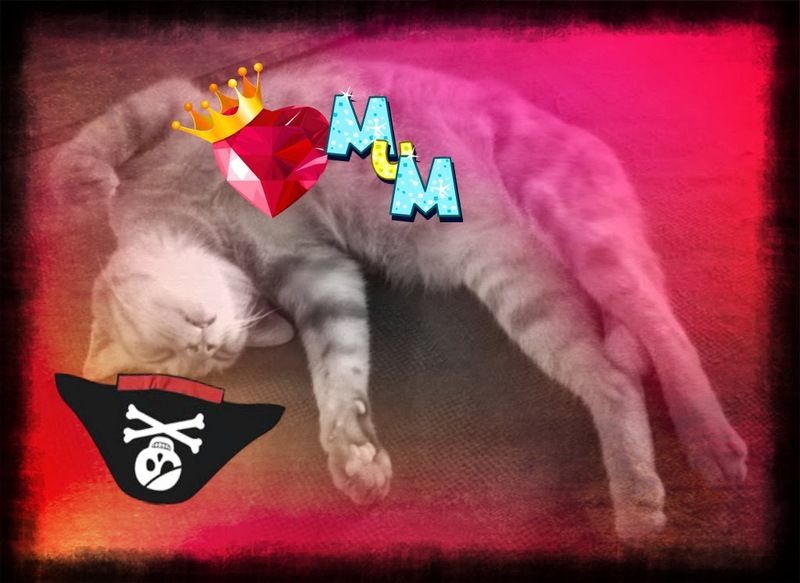 Y'all are looking mighty Pirate Purrfect! Crunchy pirates with a soft center!! MOL! Too hardyharhar! Now whar be th' tuna? Argggh! Ye be mighty fine pirates, indeed, me hearties! 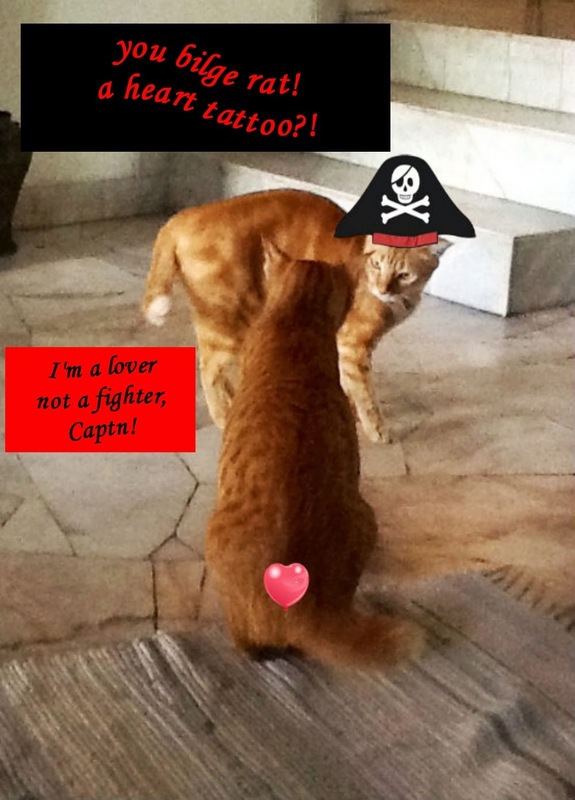 cute tattoos or not, you two are great pirates! Aye! I stopped by to share some tuna with ye!!! You fine looking Pirates you! Aye, Dead Eye Julie be glad to cause some mayhem with any pirates who be needin' some fun. harharhar, mates, best be lovers and not fighters if ye luv yer ol mum. Any grog and tuna treasure left? Ahoy! Prepare t' be boarded by Bloody Prudentilly Kidd! Arrr! I'll be pillagin' all th' nip mice on deck. Um, did someone say grog? Hic! Oh theese one is a good one there Mateys! Did we hear the magic word TUNA? Arrr mateys mighty fine pirates are you! Letus drop anchor in your lagoon and sit a spell for some rum and fine food! Arrrrr, ye BET I'll drop anchor in yer lagoon, no thanks to King Spitty who watched me up repairing my rigging and didn't help. Many cups of milk will do that to you but that IS a proud tattoo to have me mateys. pee ess..am I too late for tunas? What fine pirates you are! Ahhh, tuna, nothing tastier!! wherever I go I see pirate hats ! My grandson wears one and now the cats too, lol ! I think I have to buy one myself to be in fashion ! Wow--You kids make GREAT Pirates! My stoopy Human was a total FAIL. Thank Goodness that wench Katie Isabella invited me to her place! A fine crew if ever there be captain! And ye ended with a plate of chow so the wind must have blown well with following seas. Aye! You be such handsome and generous pirates! Two Days Before We Meow Like Pirates! Target and Guido: Someone Is Packing!